This is a photo of the Crowning Ceremony, a Jewish tradition where the parents who have "married off" all their children receive floral crowns and are serenaded by their children and their spouses. It is a special way of honoring the parents and it also is another great photo opportunity! 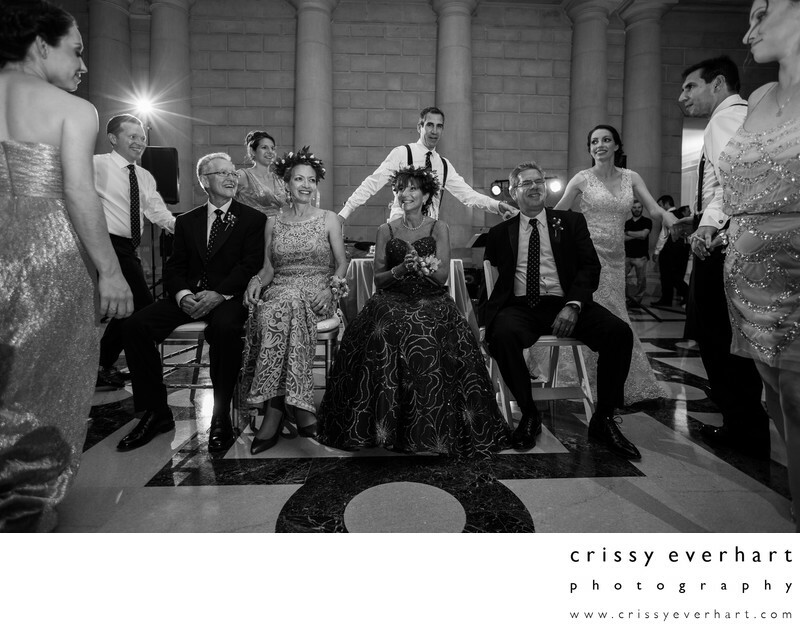 This wedding ceremony and reception took place at the Free Library of Philadelphia's Parkway Central Library, on Vine Street.